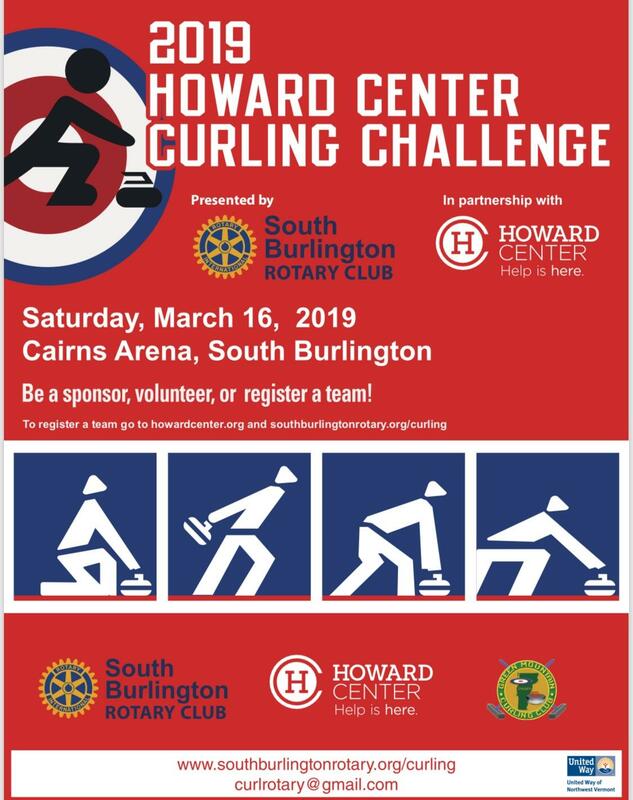 Thank you to all who participated in the Curling event this year! Fredrick H. Tuttle Award Community Service Award. 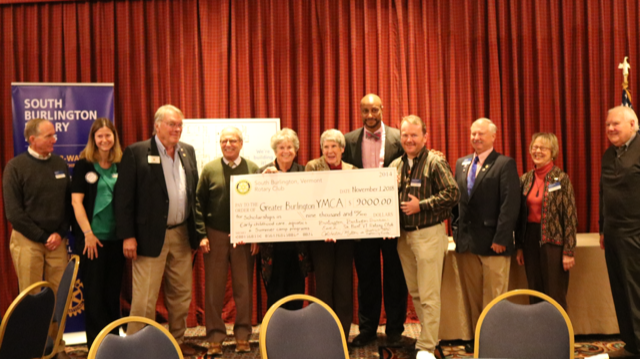 Five area Rotary clubs came together to present a check for $9000 to the Greater Burlington YMCA to provide scholarships for swimming lessons. 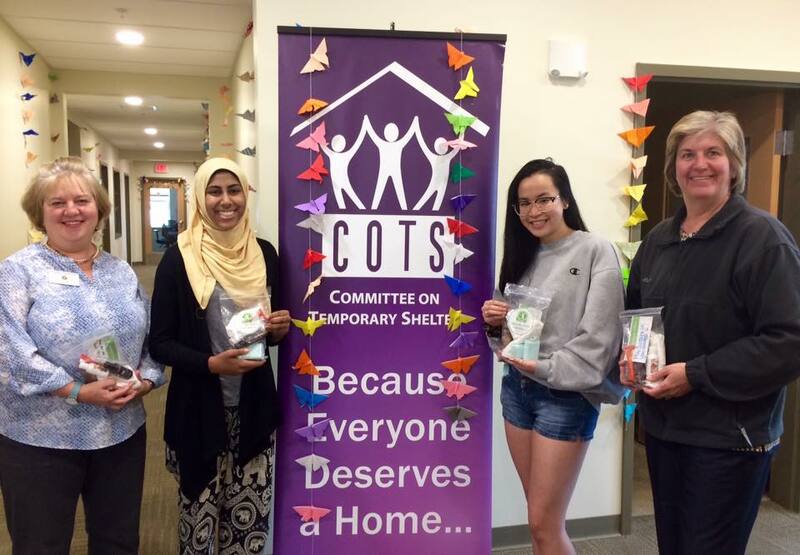 Clubs from South Burlington, Burlington Sunrise, Burlington, Essex, and Colchester-Milton banded together and wrote a grant to recognize the needs of children and families in our area. 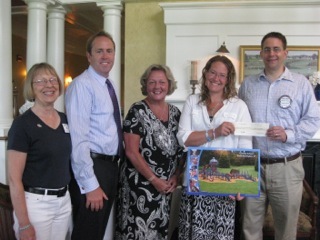 Kyle Dodson the CEO of the Greater Burlington Y accepted the generous donation. Kyle shared with our clubs about the ground breaking of the YMCA’s new 50,000 building. As Kyle described it, the building will be state of the art, housing a new pool, fitness facility, gym, track, studios and 10,000 square feet of much needed early education classrooms. He shared how the Y impacts the communities we represent, and told stories of how everyone is welcomed at the Y. 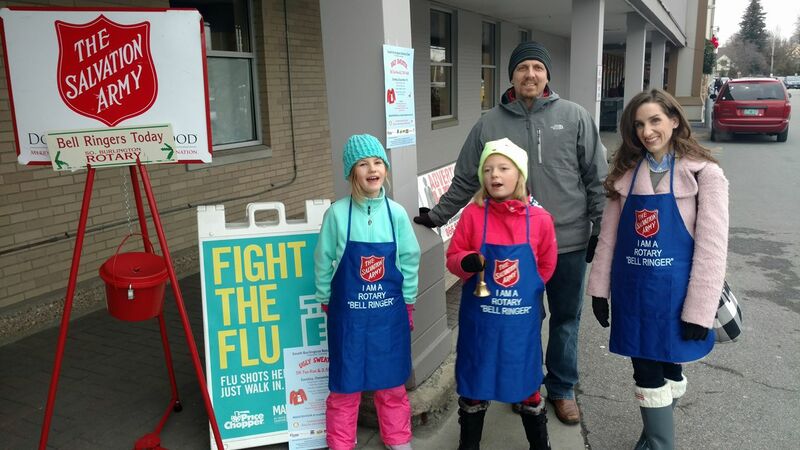 This long standing organization is deeply rooted in our community and brings people together- much like Rotary. 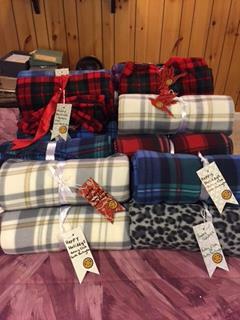 It is great when we can help one another better serve our neighbors. 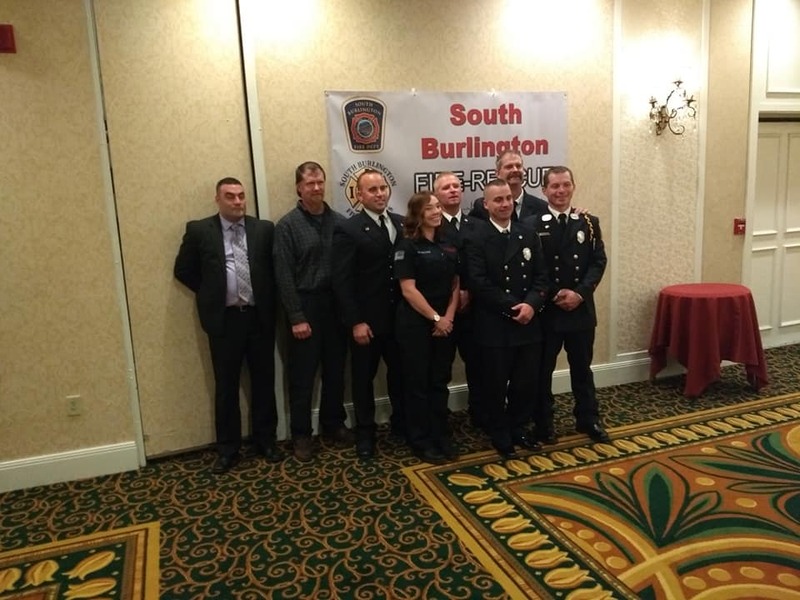 Great event at the Rotary sponsored Pat Nowak Memorial South Burlington Firefighters and EMT Awards Banquet last night! 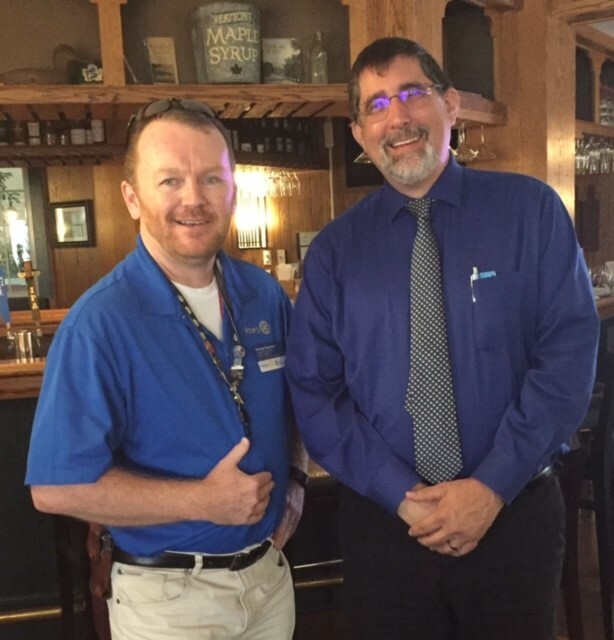 Kyle Nichols, Rotary President Elect did a great job on the Organizing committee and it was great that our current Rotary President hosted the Rotary table. 125 people in attendance showing gratitude for all our first responders do day in and day out. 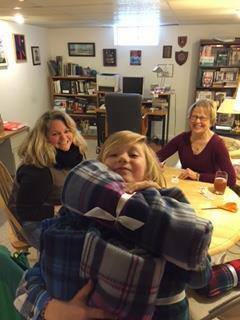 Our new member Andrew Swift was welcomed on October 4, 2018. Watch for him to at our next Rotary event. 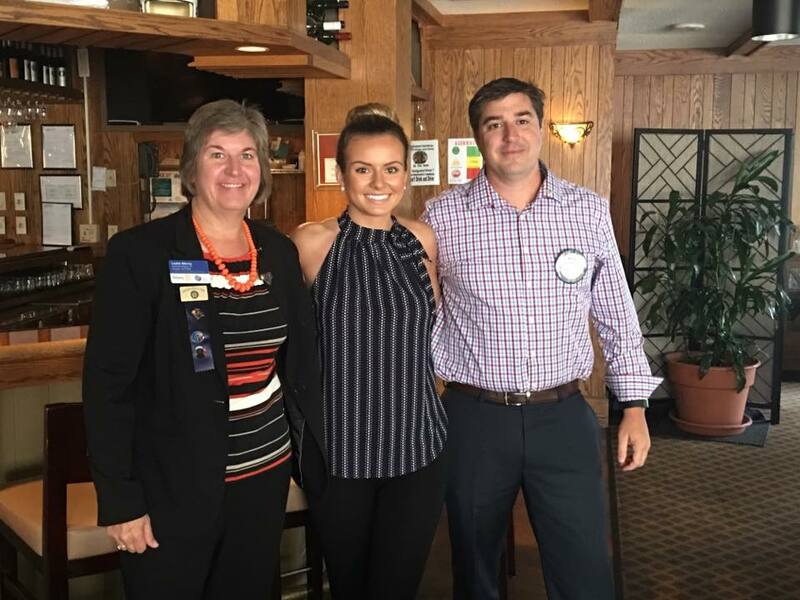 We added Kathy LaCross to our membership on October 11, 2018. Welcome to the Club! We Took Home a Trophy! 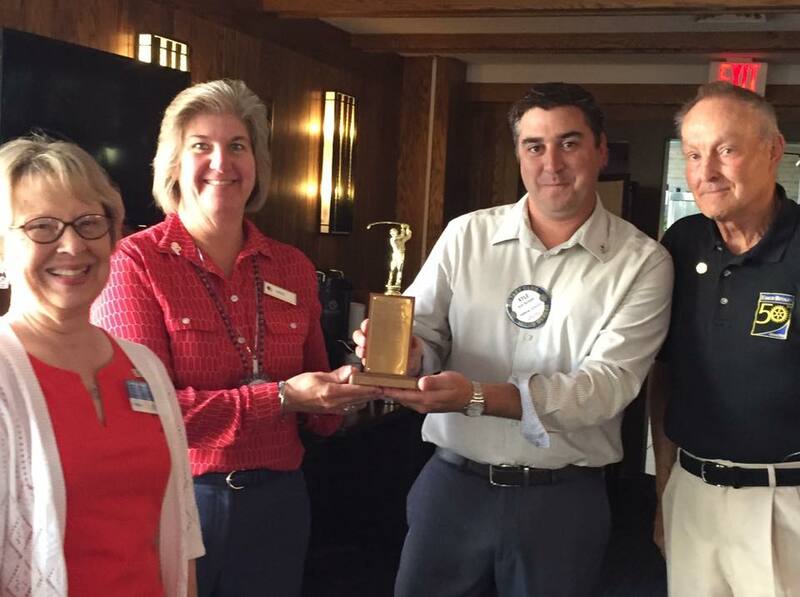 Dave Johnson stopped by this week to present our club with the trophy they won at the Essex Rotary Golf Tournament. We can't wait to defend it next year. Thanks Dave ! SB Rotary funds are distributed to non-profits and other organizations that benefit our community and youth. Among recent recipients was the Sara Holbrook Community Center where funds were used to help support a variety of summer programs for youth. 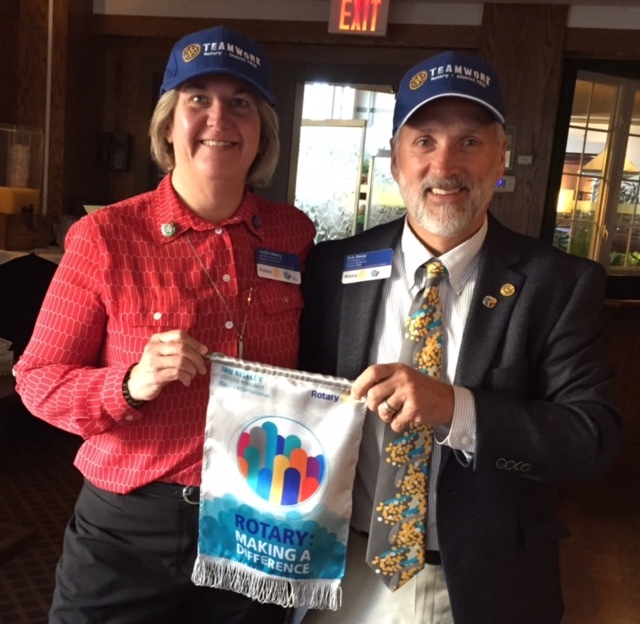 At our club meeting on August 9th, Bruce Chattman (Vice-President of SHCC and a Rotarian) presented a large thank you note to the membership from the youth at the Center. 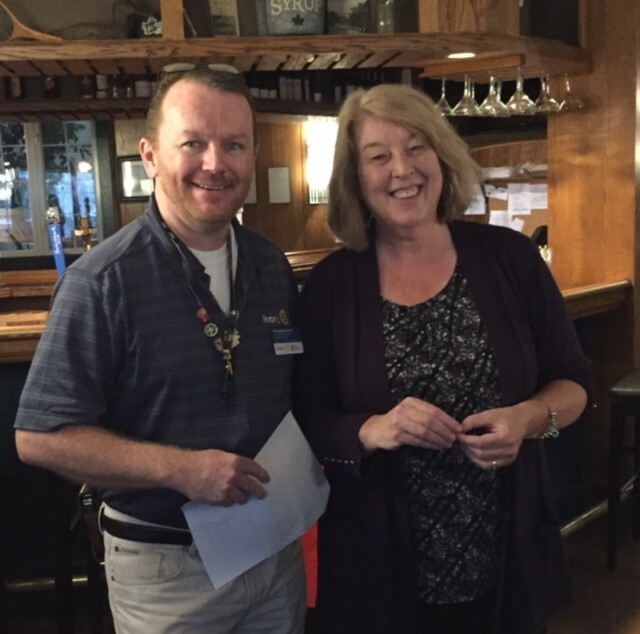 With Bruce is Penne Thompkins, Chair of the SB Rotary Youth Services Committee. Our sincere gratitude is extended to everyone who helped to make this an amazing success! We raised over $9,000 and over 160 people attended. Plans are already underway for next year. 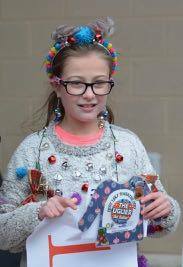 Make sure to visit our Facebook page for the full album of pictures from the day. 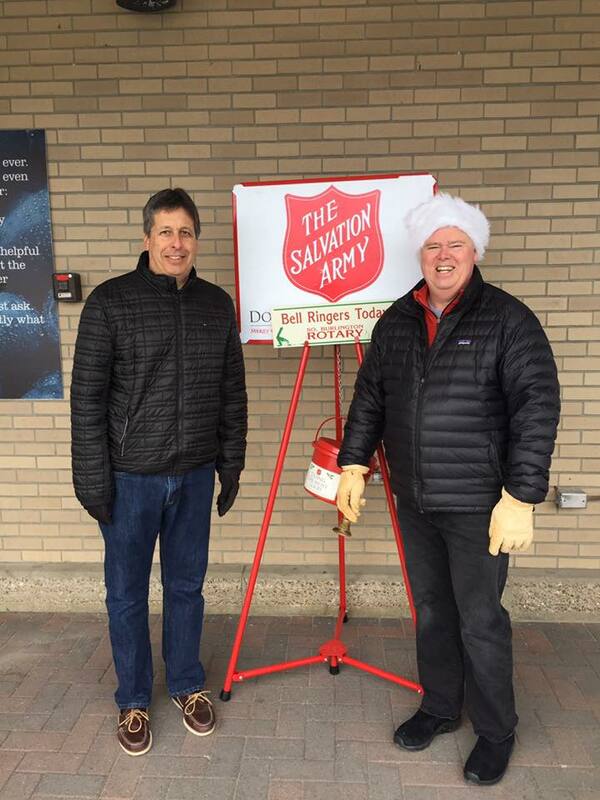 Rotarians were busy all day ringing the Salvation Army bell to raise money for the Salvation Army. Over $500 was raised. Great job everyone! 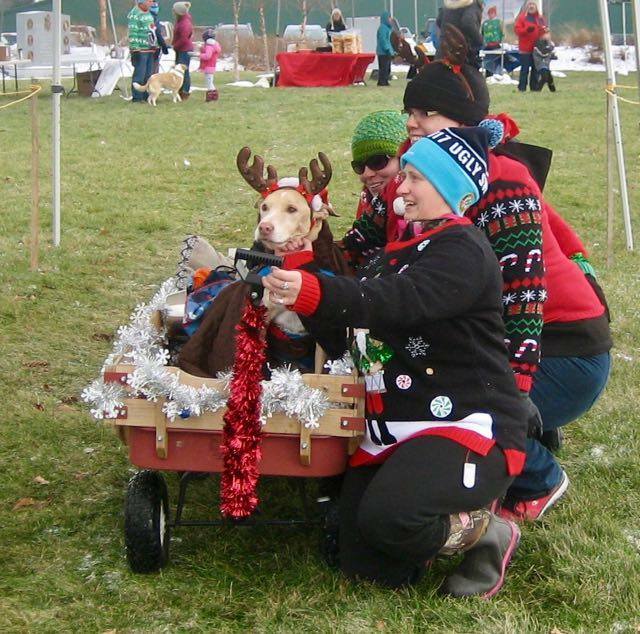 South Burlington Rotarians were in Burlington at the Trotting of the Turkeys event. 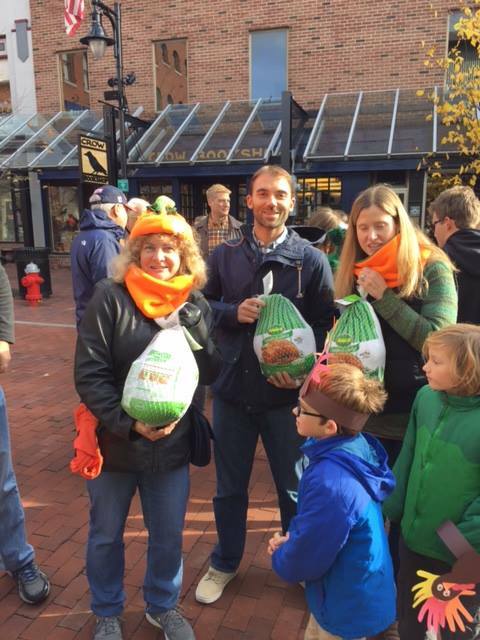 Over 400 turkeys were donated to the food shelf. Great work everyone! District Governor Eric Denu visited today. He shared stories about his life in Rotary and the District. The District's theme of Teamwork was stressed throughout his talk. We look forward to working with Eric for the rest of the year! It is time to nominate a deserving community member for the Fred Tuttle Award. 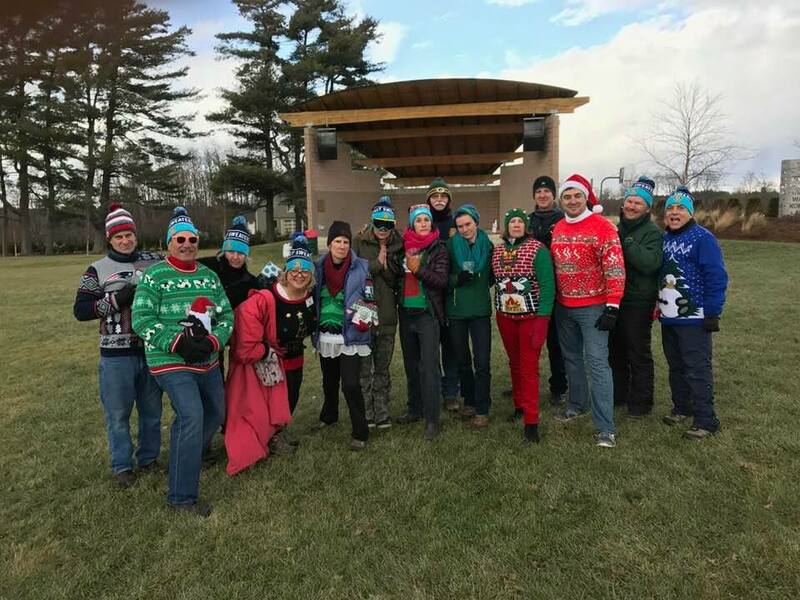 In simplest terms, the criteria are that the nominee must live or work in South Burlington and have contributed significantly in some way to their vocation. 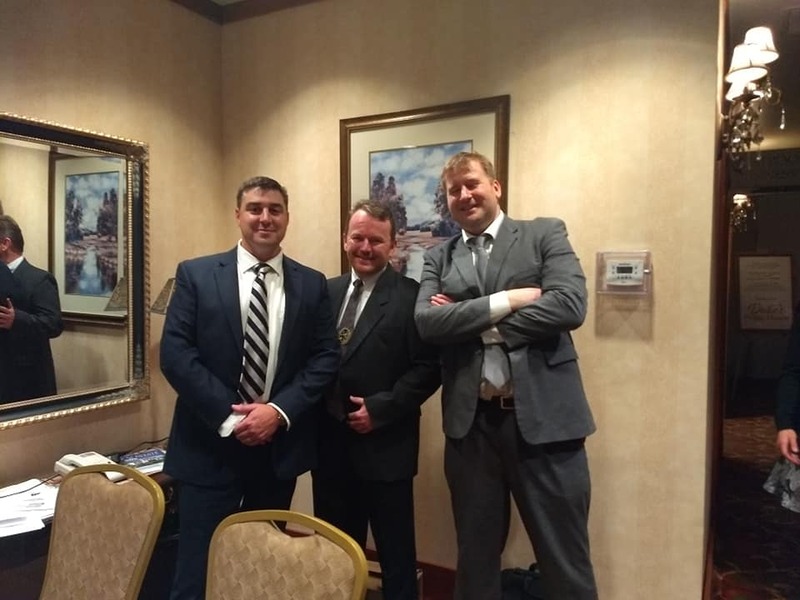 The committee considers such factors as how the nominee's actions have benefited their profession, how long he or she had been involved in their vocation and whether the individual exemplifies the Rotarian ideals. 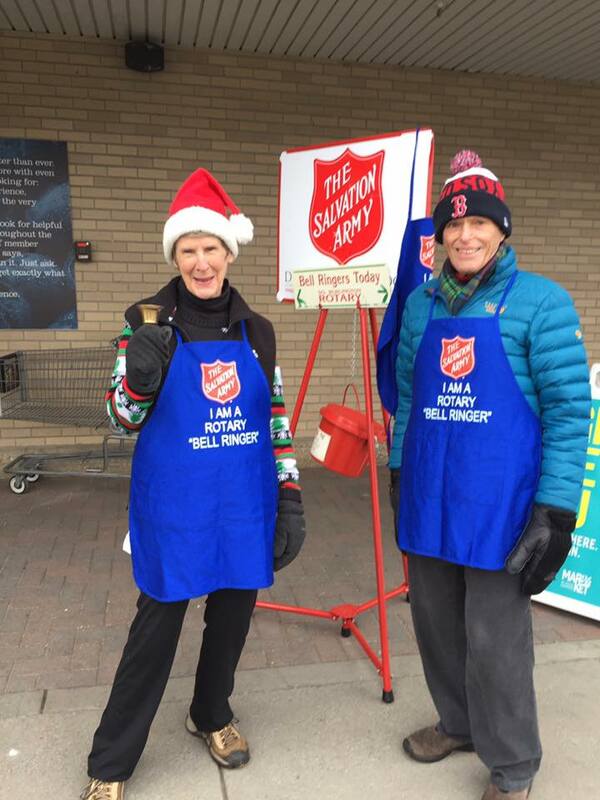 $250 contribution is made by Rotary to the charity of their choice. Applications can be download on the left side of the Rotary website. Application deadline is November 2, 2017. 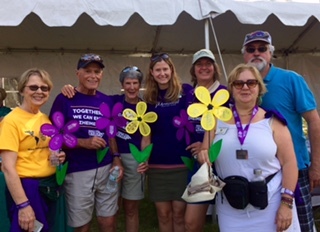 Rotarians walked in this great event to help end this tragic disease. It was a beautiful day to be outside and remembering all of our family and friends were are touched by this disease. 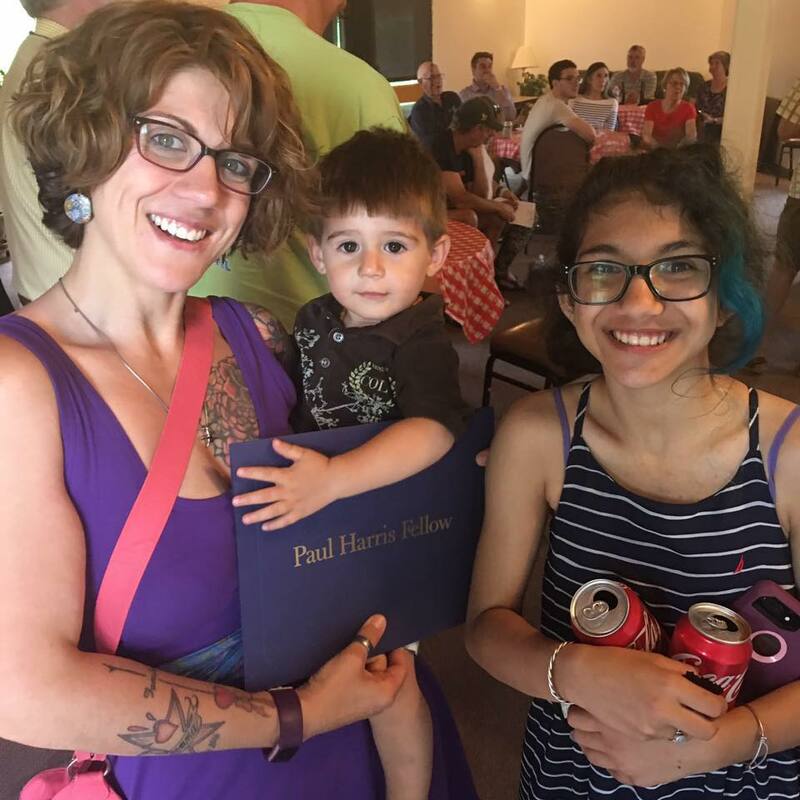 Jaclyn Paolantonio and her kids accepting our Paul Harris Fellow Award that our club donated on her mom's behalf. 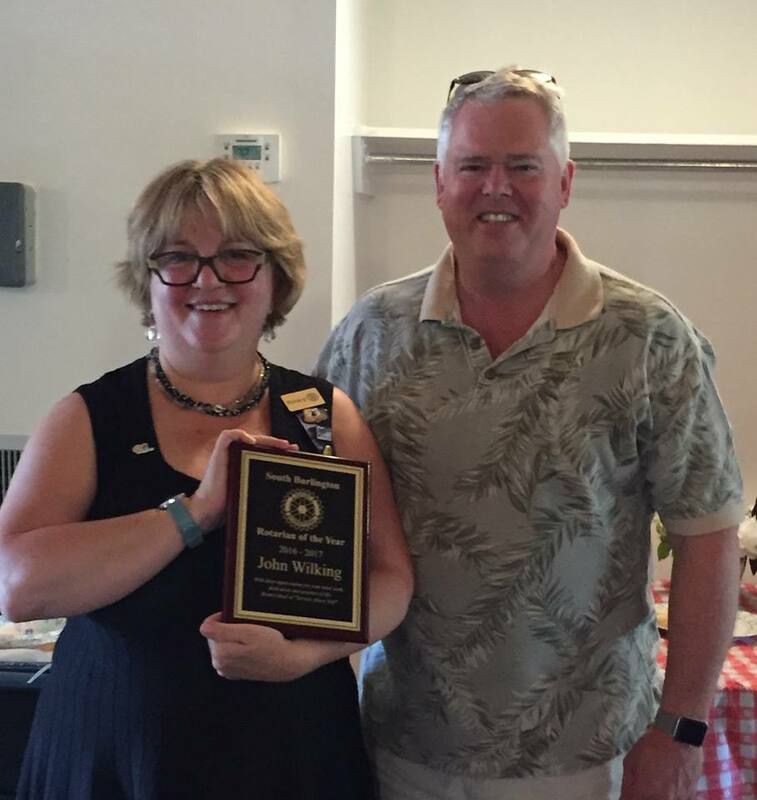 Congratulations to our 2017 Rotarian of the Year - John Wilking! Thanks for all your hard work during the year. Congratulations to our newest member Samantha Wendel. 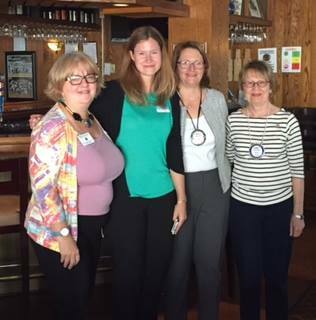 South Burlington Rotary Rotarians worked with students from South Burlington High School this morning to assemble hygiene kits for COTS. Great work everyone! 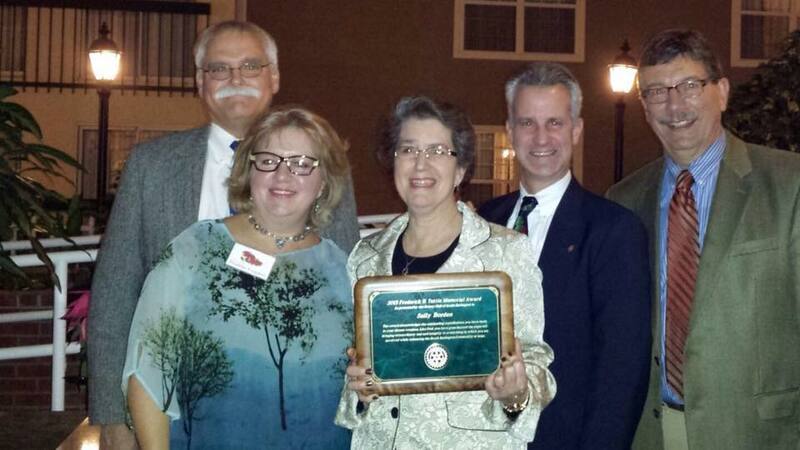 This year's recipient of the Fred Tuttle Award is Sally Borden - Executive Director of Kidsafe Collaborative. 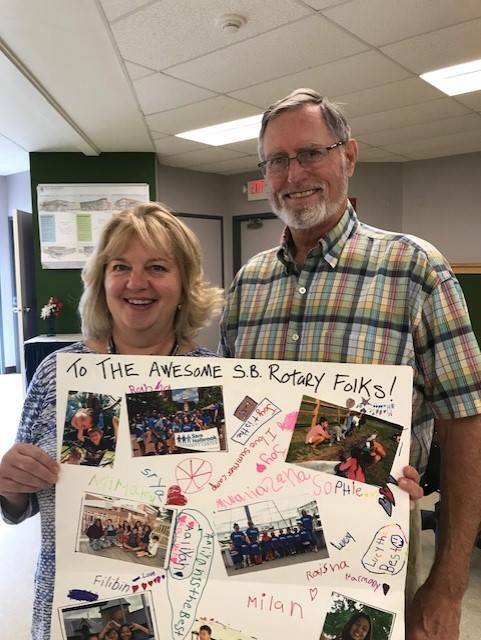 The South Burlington Rotary Club gives $5,000 from the proceeds of their 2014 Annual Golf tournament to the Rick Marcotte Central School Legacy Playground project which is scheduled to break ground for Phase 1 in early September.